You should be able to then use it in node or on the web with browserify. 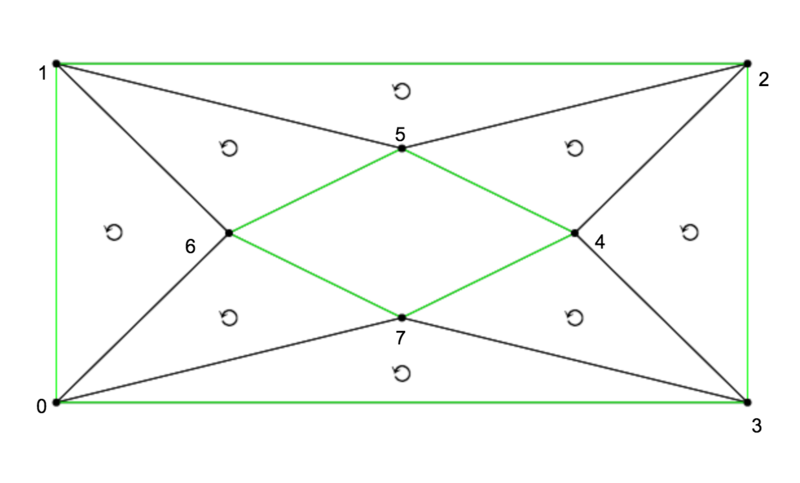 Constructs a constrained Delaunay triangulation of a planar straight-line graph. points are the vertices of the triangulation, represented by pairs of numbers. 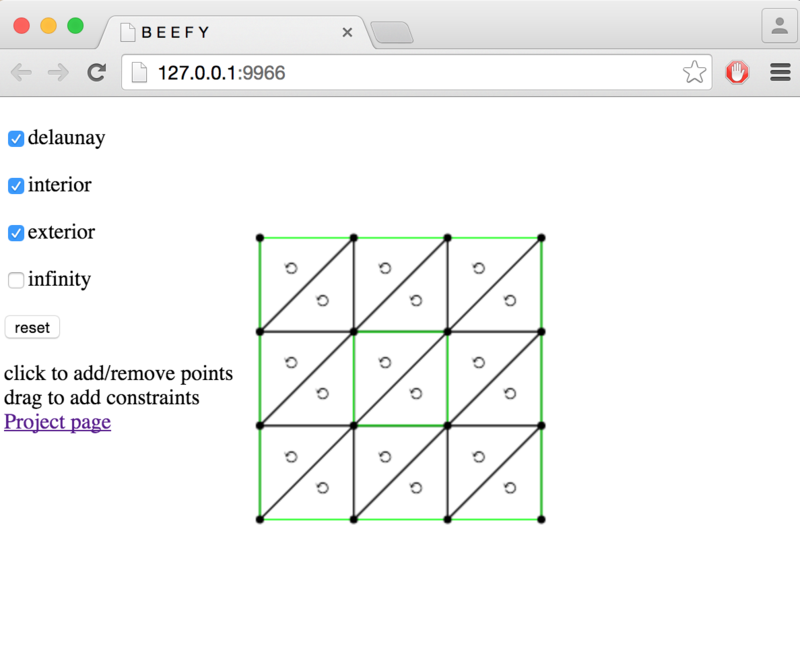 edges is an optional list of edge constraints which must occur within the triangulation. These constraints are given by pairs of indices of points. If not specified, then no constraints are used. options is an object which takes some optional parameters. Note on interior/exterior classification Interior/exterior faces are classified by treating the constraint edges as the boundary and traversing the triangulation. The point at infinity is in the exterior of the set, and other faces are classified by the parity of the path with fewest crossings from the face to the point at infinity. If your input does not satisfy these conditions, you will need to preprocess it first (using clean-pslg for example) otherwise cdt2d may return incorrect results. Limitations Currently there is no way to specify that only some edge constraints are to be included in the boundary. It is also not possible to add a constraint from a vertex to the point at infinity. If there is enough demand I may add these features or perhaps create a separate module.